People getting married in Hawaii. Getting married in Hawaii is something that many couples dream of. For many, it’s the ideal way of starting their relationship. A Hawaiian wedding can be anything you want: elegant, private, intimate or even extravagant. And couples can do this in the most striking settings. It could be a cliff overlooking the Pacific, a verdant botanical garden or a ballroom of a luxury hotel. There are many luxurious options available in Hawaii. However, most want a wedding in Hawaii because they tend to be less formal. The most popular venue is a Hawaiian beach. 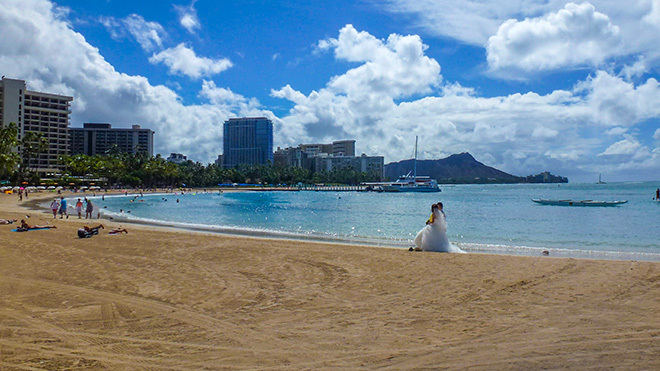 Moreover, there are a variety of wedding opportunities on Hawaii’s beaches. Most weddings in Hawaii tend to have a small number of guests. This is because not many people are able to make the trip to Hawaii. The intimacy, beautiful locale and relaxed atmosphere are what make getting married in Hawaii popular. But Hawaiian traditions can make a wedding even more special. Those getting married in Hawaii will need a license from the State government. There are some basic requirements to qualify. But they are pretty easy to meet. Couples do not need to be state residents or even US citizens. Both applicants have to be 18 years of age. Otherwise, they’ll need the consent of parents or legal guardians. Proof of age is a requirement. The type of proof can vary depending on the age of the applicants. Couples applying for a marriage license must appear together to obtain the marriage license. The process cannot happen through proxies. The marriage license costs a minimum of $65. Check out https://marriage.ehawaii.gov/ for more information. The beaches of Hawaii provide an amazing site for a wedding ceremony. However, those unfamiliar with local laws should keep a few things in mind. Here are some of the more popular beach settings. Waikiki Beach and Turtle Bay are popular on Oahu. Couples frequently use Ka’anapali and Polo beaches on Maui. 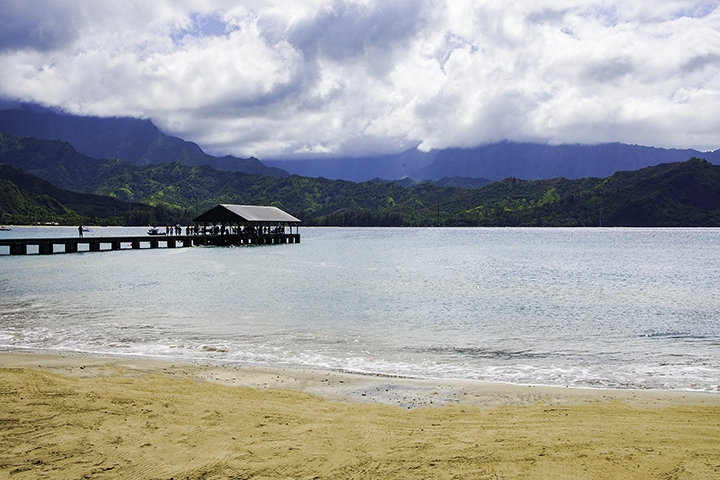 Hanalei Beach is an ideal spot on Kauai. Hapuna Beach on the Big Island and Hulopoe Beach on Lanai are also great places for weddings. Every beach in Hawaii is a public venue. As a result, ceremonies on the beach must follow certain rules. Beach weddings have a time-limit of two hours. Large weddings (more than a couple of dozen guests) may require permits. You may not ask beachgoers to move to accommodate the ceremony. Although most people will be kind enough to give the happy couple a bit of space. Similarly, the ceremony cannot block off a section of the beach. Wedding ceremonies cannot have large structures or decorations. Only the elderly or disabled can use chairs. Japan’s Golden Week in late April through early May. The increase in travelers primarily occurs on Oahu. The Merrie Monarch Festival on the Big Island on Easter Sunday and lasts one week. The Ironman Championship on October 14th on the Big Island of Hawaii. There may be other cultural or sporting events that create crowded conditions. So check with the local county offices to see if your wedding date coincides with them.